In a recent book, Formerly Known as Food, Kristin Lawless cautions readers about the risks of eating processed food produced by industrial farming. For example, maize and soybeans are widely used in animal feeds and edible oils. In the USA corn and soy beans have been genetically modified to withstand massive applications of glyphosate herbicide. Glyphosate is reported by the WHO to be an endocrine disrupting chemical (EDC)Although more research is needed to show how these chemicals impact our health, an EDC interferes with the normal working of hormones, the chemical messengers of our bodies. Glyphosate is just one of an increasing number of chemicals for which health concerns are mounting, with authors like Lawless calling for stronger action. A chemical used in plastic packaging, BPA (bisphenol A), has recently been classified as an EDC, and is slowly being removed, albeit on a voluntary basis. BPA is found in everything from plastic milk jugs to the linings of cans of food, where the BPA leaches into the food. Some companies now offer plastics made from BPS, cynically advertised as “BPA free”, even though BPS is similar to BPA and is also an EDC. While some industrial foods are tainted by chemicals, other food products are a health risk in their own right because of what has been removed from them. For example, the industrial vegetable oils, shortenings, and margarine have been heated to such high temperatures that their naturally occurring molecules have been broken down and oxidized; their nutritional properties diminished. These factory-made oils are often advertised as “heart safe”, but they actually damage the walls of one’s arteries. Lawless also offers valuable suggestions for healthier eating. For example, cook at home; eat less fast food, and skip processed food. Eat whole foods like whole milk, and real eggs). She advocates joining a food coop that works with concerned family farmers who provide healthy food that goes beyond organic. On the down side, this book dismisses the role of exercise and of calorie intake, almost as though we could simply eat our way to health with organic food. Having said this, Formerly Known is well written and is based on ten-years of study and interviews with key food researchers. The book educates the readers to take control over what we put in our mouths. While reading it I was inspired to make several lifestyle changes. For example, I finally read the ingredients label on the salad dressing I loved, and realized that it was full of processed oils, other goop and chemicals. I’ve since started making my own dressing. I would also add that it is time to respect smallholder, family farmers. They have been bombarded over the past few decades with advertisements to buy agrochemicals, often subtly enabled by agricultural policies that favor the agrochemical multinationals and often pay less attention to the effect of mass-produced food on public health. Farmers (and the rest of us) deserve more technical alternatives for managing pests and nourishing the soil. The videos hosted by Access Agriculture provide family farmers with such alternatives, presented in an engaging manner. Lawless, Kristin 2018 Formerly Known as Food: How the Industrial Food System Is Changing Our Minds, Bodies, and Culture. New York: St. Martin’s Press. 317. 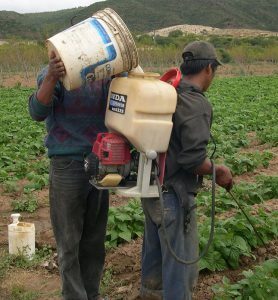 For alternatives to industrial, chemical-intensive agriculture, see some of the almost 200 training videos hosted on www.accessagriculture.org. Innovation in agriculture is the key to progress, yet new ideas need to be carefully examined. This is particularly true for “if only” crops, where wondrous benefits could be realised, so we are told, if only more were produced for eager markets. It rarely turns out to be so simple. From the 1960s onwards the neem tree received a lot of attention from pest scientists who promoted the pesticide properties of naturally occurring compounds. Neem’s properties had been known across India for centuries, but were a source of wonderment to Western scientists, intrigued by the possibilities of natural alternatives to the highly toxic pesticides damned in Rachel Carson’s Silent Spring. “If only” crops often promise increased incomes for farmers, with other benefits such as reduced pest management costs and health risks in the case of neem. 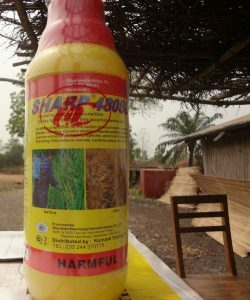 Neem was promoted widely in West Africa as part of IPM (integrated pest management), though the most notable success I am aware of was an agroforestry scheme in Niger, where neem was used as windbreaks for annual crops. Neem was also promoted widely as a botanical insecticide in Central America in the 1990s, but the most lasting result of plantings seems to be attractive trees in public parks. I did hear of a commercial scheme to harvest neem oil from neem plantations in Indonesia, driven by a reported US market price of US$50 per litre. But, like many other wonder crops, the hype didn’t match the reality. Neem products are sold widely in India, often with heavy government subsidies, but wider, international trade has yet to happen. Promoting any new plant-based product for profit requires a complex series of coordinated steps, from getting farmers to grow enough plants to guarantee a steady supply of raw material, to having processing facilities that can produce the quality product needed by traders that are ready and willing to pay a fair price. Add to this: trading regulations, alternative suppliers and fluctuating demand, and the barriers to success become daunting. 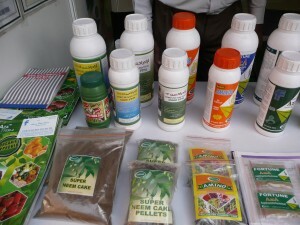 The promotion of neem products has been a qualified success where farmers were already familiar with the plant. Creating enterprises based on a first-time crop is much more challenging, as I learnt last week in Rwanda. Patchouli is a small herbaceous plant whose leaves produce a pungent oil used in perfumery. Patchouli oil is also used in making incense and anyone who has visited India or passed by Hindu temples elsewhere is likely to have smelled its particularly intense and persistent aroma. About 10 years ago an entrepreneur from Haiti, Pierre Léger, visited Rwanda and convinced the government to support a scheme to plant patchouli, a previously unknown crop. This was the wonder plant, according to the spiel, that would transform the lives of many poor farmers in Rwanda. Patchouli is well-suited to conditions in Rwanda, where aid agencies and the government were keen to support new enterprises, particularly those that promised high financial rewards. 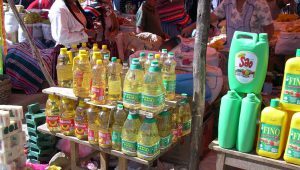 Add to this a global patchouli oil shortage and skyrocketing price at the time, and it’s easy to understand why a proposal to establish a patchouli industry in Rwanda received a sympathetic welcome. Rwanda already grew geraniums for essential oils, so this type of business was already familiar to some farmers. 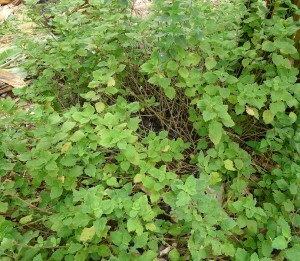 Today, however, patchouli still languishes as an “if only” crop for Rwanda: if only more farmers had planted it; if only distilling facilities had been successfully established; if only investment from the government had been realised; and if only the original promoter had stayed the course necessary to establish a patchouli oil business. There are wonder crops that have succeeded, but usually because they were already grown by farmers and there was a semblance of a local industry that could be expanded when market conditions became favourable. It also helps to have committed private investors. Quinoa is not an overnight success for Bolivia or Peru. Many people have worked for years to promote its nutritional benefits, efforts that are now being rewarded by sustained exports to North America and Europe. 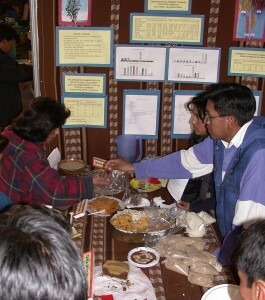 The quinoa was also supported for years at the exporting end in the Andes by researchers and entrepreneurs in Bolivia. The overall picture of wonder crops is, however, of patchy success. 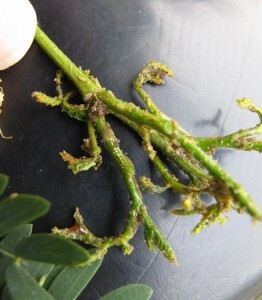 Leucaena, a woody legume, was widely promoted by projects as a reliable solution to fodder shortages, yet it was plagued by a psyllid (a sucking insect) that followed the expansion of planting around the world. Goji berries, a super-food grown mainly in north-west China, is a wonder crop that continues to do well. But success also encourages competitors, with increased quinoa and goji production in the US, for example. The main lesson from the fates of many crops promoted as “the next big thing” for development is to exercise caution. It is tricky linking production to markets and finding reliable investors who will keep working on processing and marketing after donor dollars have disappeared. A committed community of researchers, processors, exporters, producers and policy-makers is essential. There is undoubtedly a place for wonder crops in creating new enterprises, but only if the assumptions and claims of the promoters are thoroughly scrutinised before taking the plunge. Persistence helped to establish cardamom in Guatemala, as explained in A troubled crop.